"Ipaint what I see and not what it pleases others to see." 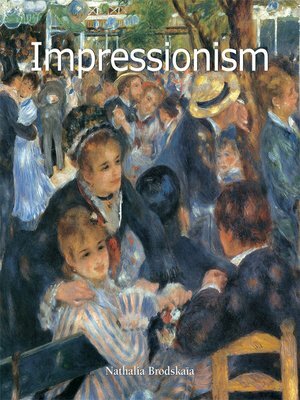 What other words than these of Édouard Manet, seemingly so different from the sentiments of Monet or Renoir, could best define the movement of Impressionism? Without a doubt this singularity was explained when, shortly before his death, Claude Monet wrote: "I remain sorry to have been the cause of the name given to a group the majority of which did not have anything Impressionist." In this work, Nathalia Brodskaïa examines the contradictions of this late 19th-century movement through the paradox of a group who, while forming a coherent ensemble, favoured the affirmation of artistic individuals. Between academic art and the birth of modern, non-figurative painting, the road to recognition was long. Analysing the founding elements of the movement, the author follows, through the works of each of the artists, how the demand for individuality gave rise to modern painting.